Luckily there is always plenty of colour to be found at the flower market. Do you remember my Tulip mania from February? 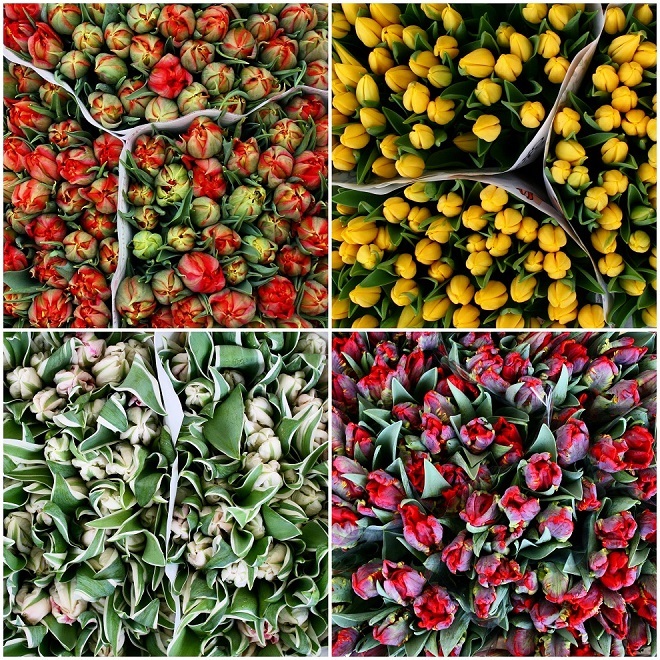 Tulips are still the most popular flower at the market. I couldn’t resist making another collage of tulip pictures. I love how the bunches are packed tightly in the containers, their buds still closed. They look so fresh! They are back, so it must be spring! In winter there are only a few flower stalls at the Friday market. Plants are available starting in March. It’s great to see the square filled up again, pots and trays being displayed directly on the pavement. There are several vendors selling plants. 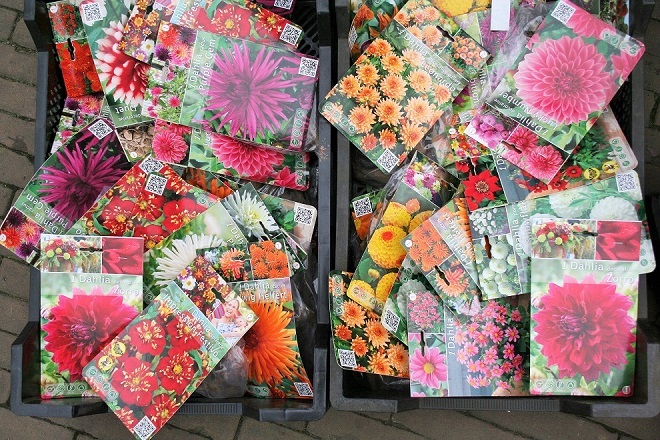 You can buy everything, plants, bulbs, seeds, seedlings, shrubs and even small trees. 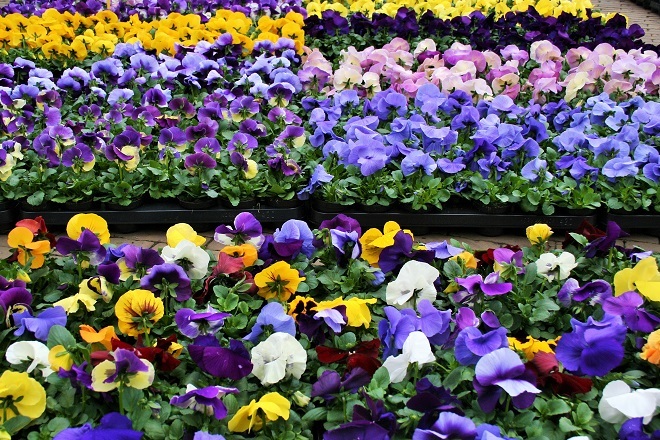 You will find almost everything that you need for your garden at the market! Even though our winter wasn’t very cold, everyone welcomes the first signs of spring. The crocus blooming, the daffodils peeking out of the ground, and of course, the pansies. 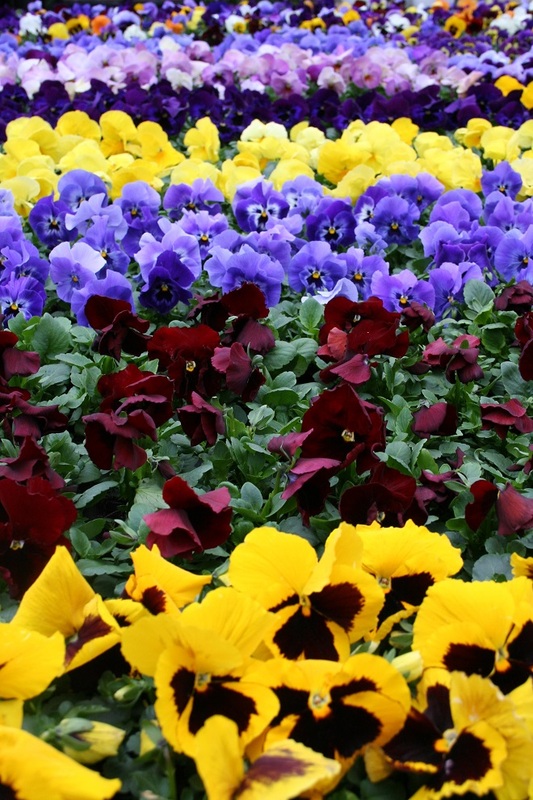 Planting pansies is the easiest way to bring colour to the garden. 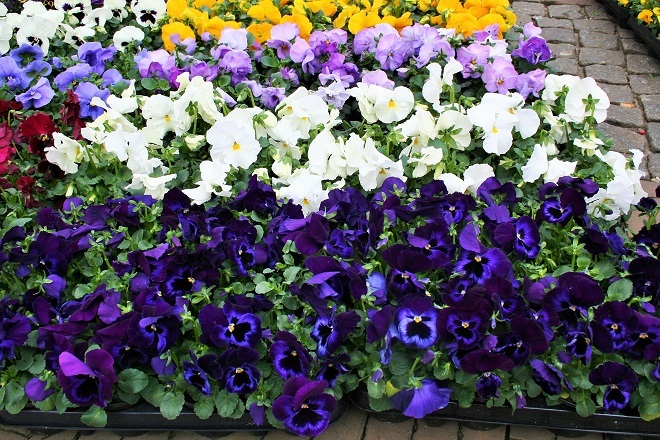 Every year people hurry to the garden centres buying pansies by the tray. At the market, they make a beautiful and colourful display. 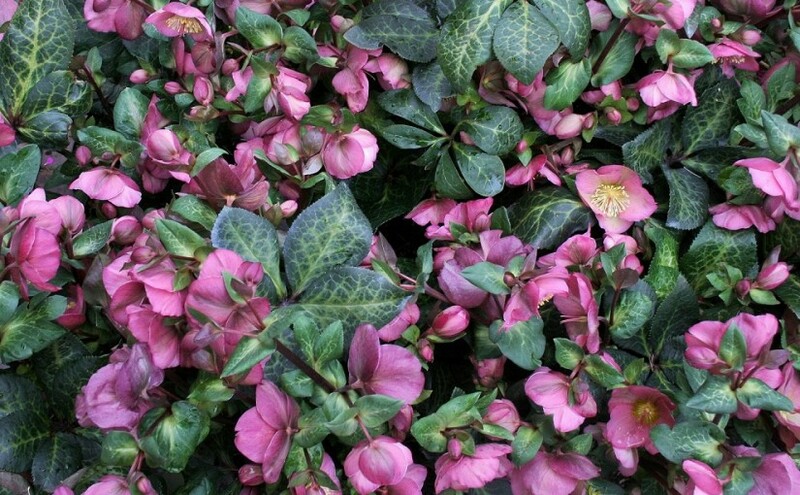 But as pretty as they are, my attention this month was with another plant, the hellebore! I saw hellebore everywhere. On Instagram, on the beautiful Floret blog, in garden centres, and at the market. They grow underneath a large oak and brighten up that part of the garden, which is rather dark these days. In the back garden, I planted two varieties. 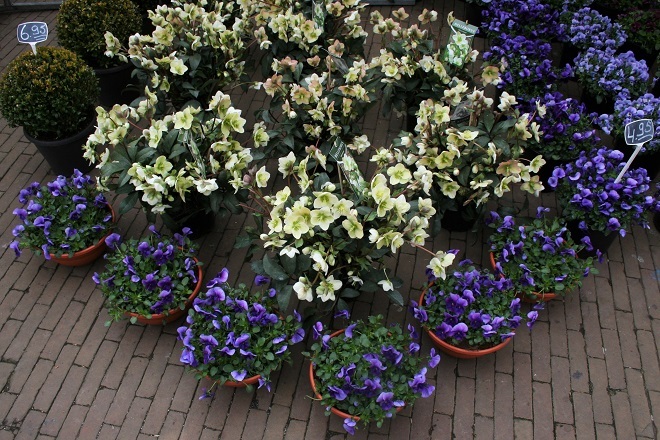 One of them is a Helleborus niger. I was anxious to add another variety to my collection. I think I like the single flowers better than the double flowers, how about you? 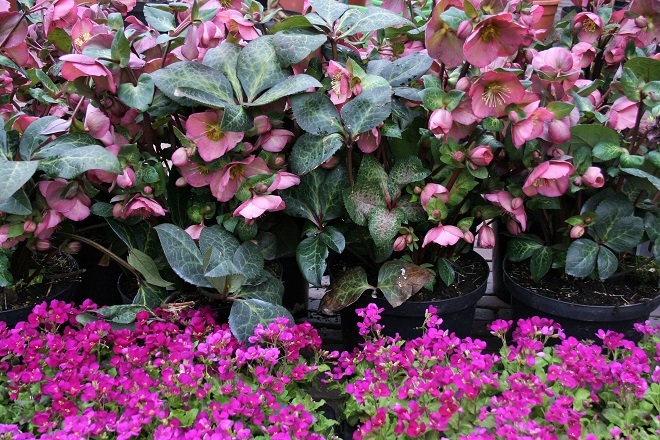 It’s not easy to keep your money in your pocket when surrounded by all these beautiful plants! 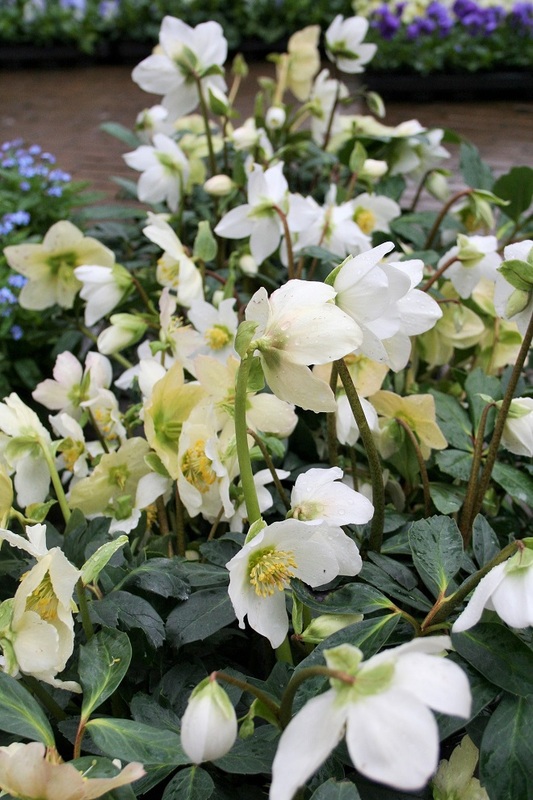 I did buy another hellebore at the market and will show it to you in another post. I also bought some dahlia tubers for my allotment. I haven’t planted them yet, I have to confess I haven’t done anything at the allotment yet. My boys were kind enough to spread manure on my plot. I hope you enjoyed my look at the market in March and hope to see you back next month! You are so lucky to have a market like this, Pauline! Those plants are just stunning. Good luck with the allotment! Mooi verhaal weer Pauline, je weet ook ik hou van de markt. 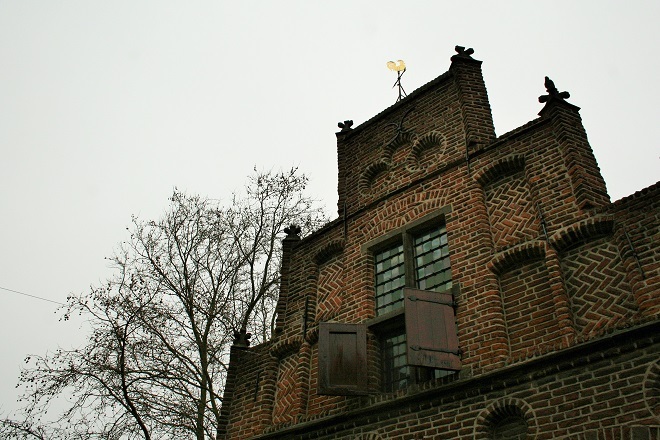 Zoals vanmorgen: regen en toch thuiskomen met met zalm, kaas, tulpen, chocola en een nieuwe braadpan.